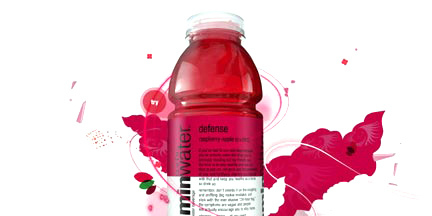 The Vitamin Water section of the Glaceau website has been making me laugh. They have come up with funny 'Try It' sayings for each flavor to attempt to explain the effect of the drink. For example 'Try swimming the Atlantic when you've just swam the Atlantic. Try Revive. Try it.' or 'Try kissing a poison dart frog until it turns into a prince. Try Endurance. Try it.' You can also create your own sayings using the Try It Creator and then post the custom advertisement to your blog or myspace page. I find this very interesting because on the one hand they are giving up control over what their advertisement says, but on the other hand the ads that people come up with are probably even more relevant to the readers.